Here's the right place to look for unique event gifts. It's not actually About Us; it's About You. It's about your wedding. Your new baby. Your new business launch. Your family vacation. Life's special moments deserve more than off-the-shelf products. 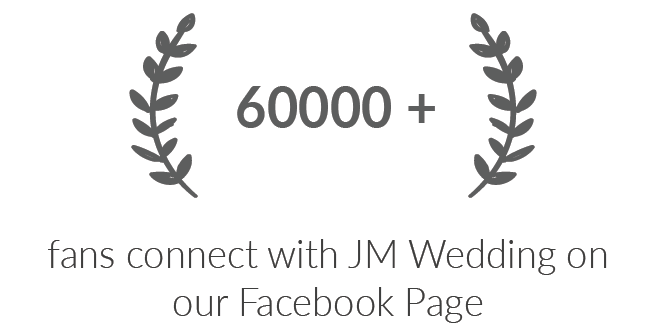 Welcome to JM-Wedding.com! 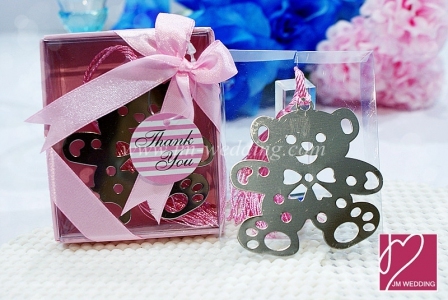 -Malaysia & Singapore Event Gifts Specialist. 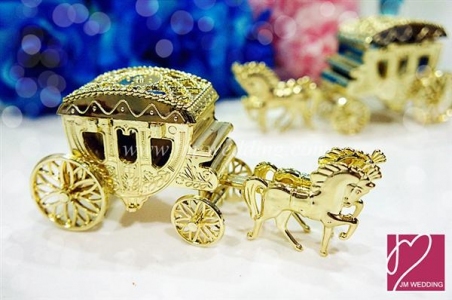 We hope to help brides and grooms, wedding, birthday party, occasion, corporate annual dinner & event planners in finding the perfect favors for their memorable events. Dear JM Notable Clients - Sincere Thanks for choose JM & look forward the opportunity to serve you once again. We appreciate any chances to cooperate for any events. 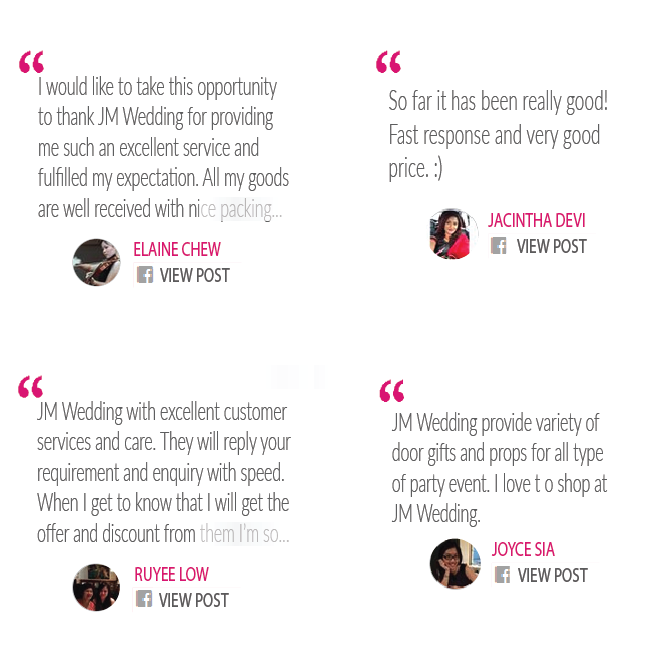 Welcome to JM-Wedding.com! -Malaysia & Singapore Event Gifts Specialist. 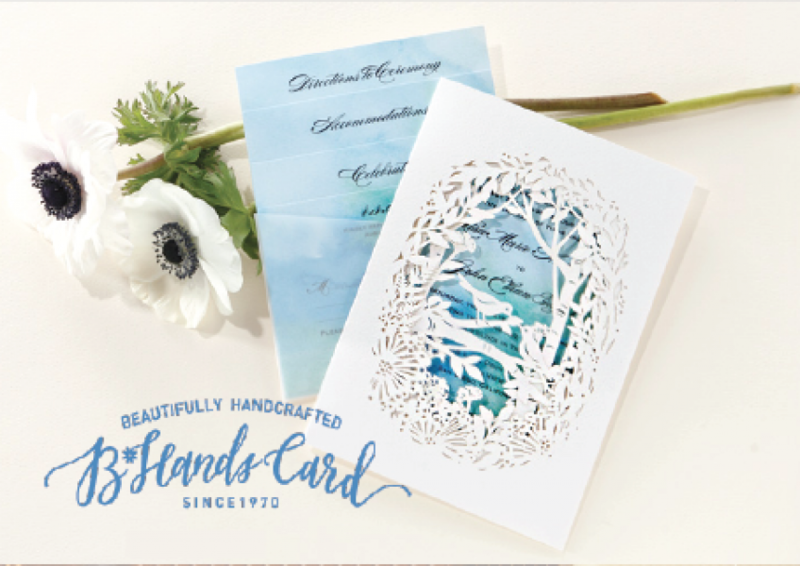 We hope to help brides and grooms, wedding, birthday party, occasion, corporate annual dinner & event planners in finding the perfect favors for their memorable events. Ready Stock & Customize Products are available. 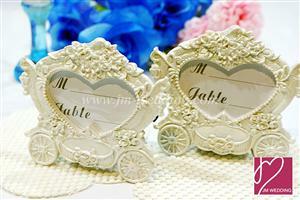 We are providing best wedding products and service for shopping online in Malaysia. 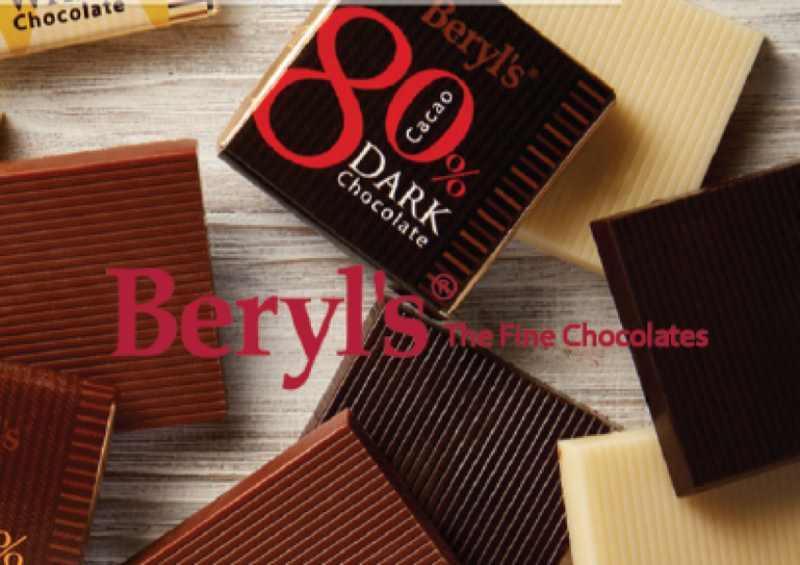 There are three main reasons: wide-range products, multiple color options and value-added services that cater to our customers. Our collection of different categories from different countries, shipping to international and local, caters to both high-end and affordable price. 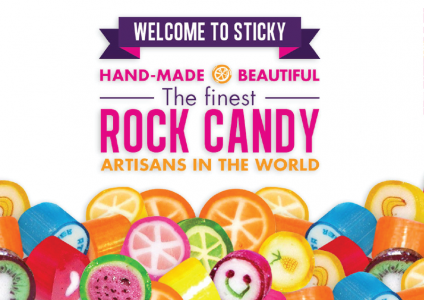 There are so many options for you to choose from when browsing our site. 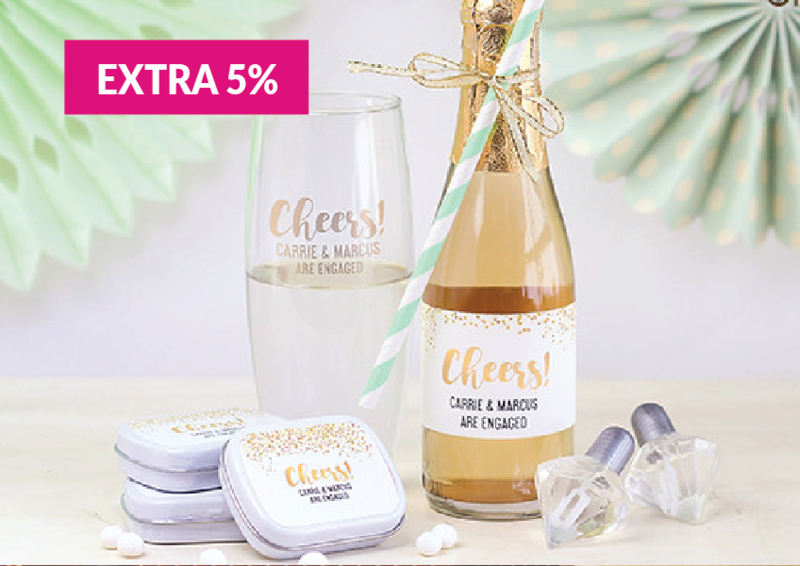 The products range caters to wedding, party, holiday, special occasion and more, and it’s categorized for easier browsing by price, size, color and design to can ensure a shopping experience that doesn’t waste your time! Just hover your mouse over any image to see the product from 360 degree angles. 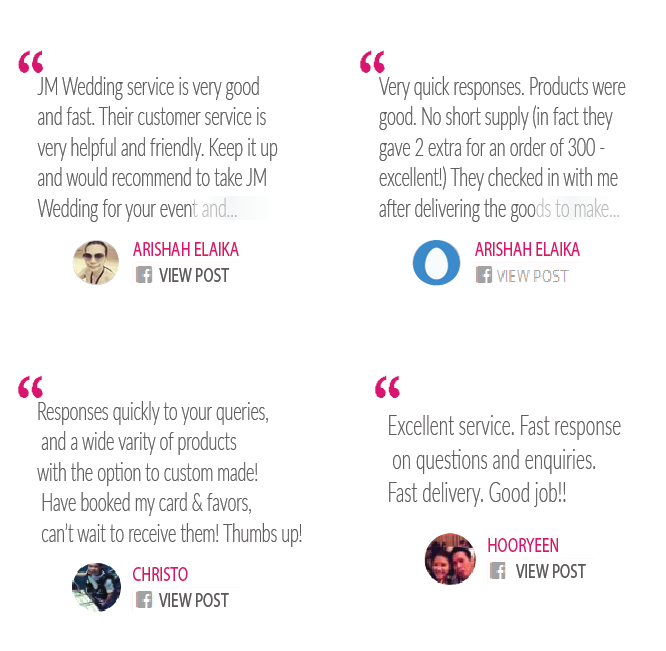 Welcome to JM-Wedding.com! 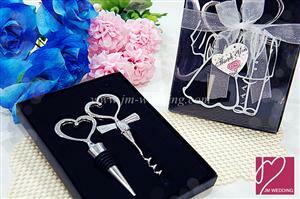 -Malaysia & Singapore Event Gifts Specialist. Exclusive offers are available for our valuable customers. Check it out now! Malaysia & Singapore 's Grand Wedding Door Gift Specialist - Specialize in Wedding Door Gifts, Wedding Favours, Wedding Souvenirs, Wedding Gifts, Annual Dinner Door Gifts, Baby Shower Favors, Cenderahati Perkahwinan, Cenderahati Pengantin, Kotak Cenderahati Perkahwinan, Paper Bag Kahwin.